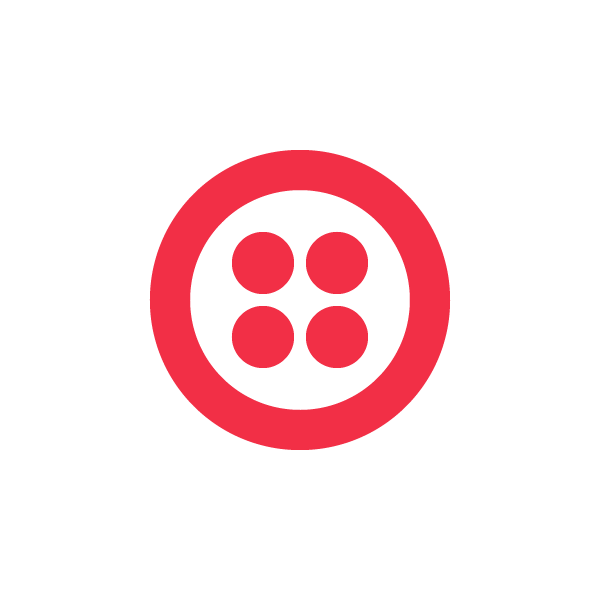 Hi this is Danielle Morrill, and I’m the Director of Marketing here at Twilio. I’d like to share with you a Twitter project that I helped build using Twilio in my “20% time”. I was originally turned on to web telephony when I came across Stuart Henshall and his product Phweet, so when Jeff offered me a job at Twilio I jumped for the chance. Now I’ve built my own Twitter + telephony service, and I hope you’ll experience some of the wonder I did when I made a call through Twitter for the first time. I’ve been hesitant to push my own Twilio creations in the past, but after seeing the news that Jajah will be launching their own Twitter calling service tomorrow it seems like as good a time as any to throw my hat in the ring and introduce TweetToCall, which my husband and I built over the course of five days in PHP, using Twilio to power the telephone calls. 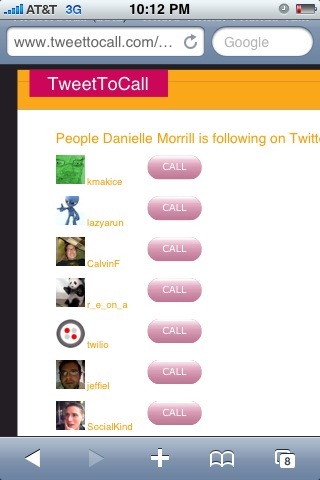 TweetToCall is a simple way to find the phone numbers of your Twitter contacts and initiate a call with just one click. The name can be a bit confusing, and that is because we originally wanted to initiate calls via a tweet (and that feature is still coming) but thought the current would make a solid proof of concept – and it has. Obviously, the service works best if many people have signed up – so tell your friends. Neither party sees the other person’s phone number on their caller ID. As a woman this feature was a no-brainer for me, I want to use this service but I don’t want to acquire stalkers or give out my number to everyone. Hopefully this will encourage people to use the service for things like dating, where they can screen people without becoming overly vulnerable. We debated the length of calls, because obviously they have a fixed cost (see Twilio’s pricing). We decided to go with 4 minutes because we think that’s about the right amount of time to have quick conversation and exchange numbers if you decide to trust one another. We’ll be racing to the finish line when it comes to building a service that pays, but that feels like a healthy pressure and we have plenty of ideas for making money. The original use case for TweetToCall was a DM I got from one of Twilio’s investors telling me he was nearby and wanted to meet up. Of course I found that I didn’t have his phone number, but if I’d had a way to get that number through Twitter I would have been set. The idea of a Twitter phone box was born and that morphed into what is now TweetToCall. In fitting with this experience, the interface has a stylesheet that is optimized for the iPhone so you can quickly scroll through your phone box for the person you want to call. There are all sorts of goodies in the works for generating links (kind of like a bit.ly for telephone calls). For my husband Kevin (@mistermorrill) and I, TweetToCall as been a fun side project and a way to stay connected while I work for Twilio here in San Francisco and he holds down the fort at our house in Seattle and starts up his own web development business after working at Microsoft for ten years.